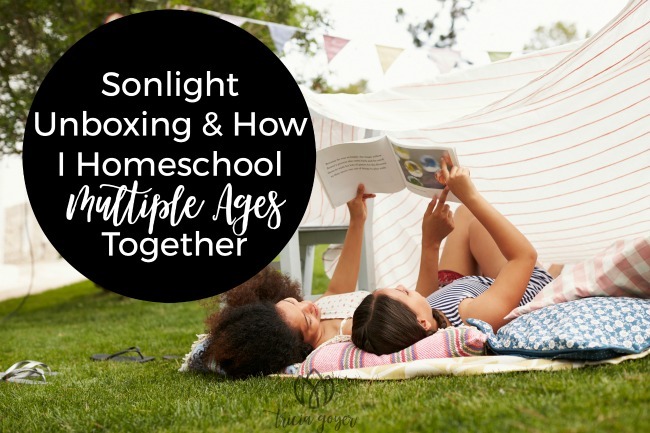 Get a peek into my Sonlight curriculum box + get tips on homeschooling multiple ages together! 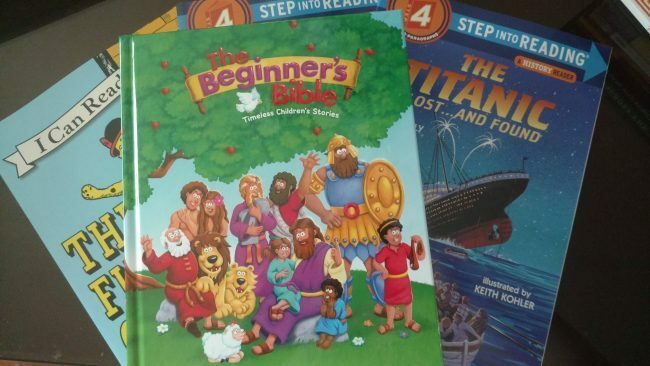 One of my favorite times of the year is when my new homeschool curriculum arrives. The last couple of years I’ve used Sonlight to homeschool all my children together. It works great!! I’m doing the same thing this year, too. Below is my unboxing video. 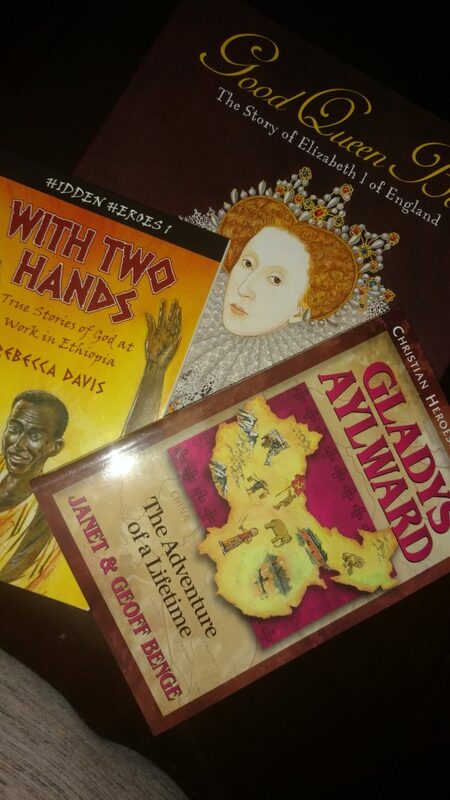 This year I’m using History/Bible/Literature (HBL) Levels C and H.
HBL level C is for Grades 2-4. My three youngest kids will be in grades 2, 3 and 4. HBL level H is for Grades 7-9. My three older kids will be in grades 8 and 9. Both of these cover Middle Ages through modern day. Middle Ages is one of my favorite times in history. I literally put the two together and do the Read Alouds to both groups. Last time it took me 1 ½ years to go through the doubled-up curriculum this way, but none of us minded. The younger kids enjoyed the older kids’ books and the older kids loved the young kids’ books. This really helps the kids bond. From ages 7-15 (and 46!) we all enjoy the stories together. I can’t tell you the number of times all the kids were either laughing or crying at the same time. It’s fun to hear them talking about the stories months later. 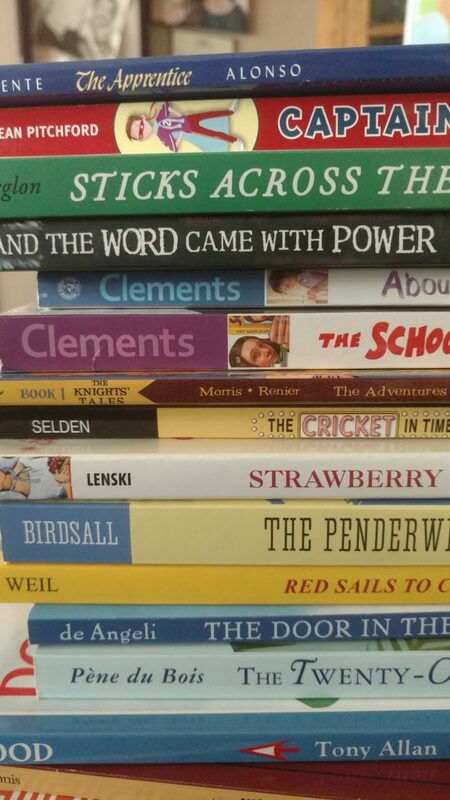 I usually spend 2 – 2 ½ hours each day reading aloud to all my kids together. While I’m reading they’re usually coloring, playing with Legos, doing puzzles or crafts. I pause every few pages and ask questions to make sure people are paying attention. Sometimes the older girls take turns reading too. Then, after the reading aloud time, everyone breaks up to do their individual work. This takes anywhere from 1-4 more hours, depending on the age of the child, how much work and independent reading there is, and how motivated they are. What makes Sonlight easy is that Teacher’s Guide has everything listed out—what needs to be done each day. There are also handouts and worksheets to go with the books. Since everything is figured out for me, there is little prep. I’ll admit that we don’t cover every single thing in the teacher’s guide. Sometimes I’ll choose not to do all the extra activities, and we just read the books. That’s okay. My kids are learning a ton and excelling! Next, I’ll do another video showing how I organize our homeschool. I don’t have a dedicated school room. We homeschool in the dining room. We also eat in the dining room every evening, which means everything needs to be cleaned up and put away after we’re done. I love Sonlight. See my unboxing video, plus get tips on homeschooling multiple ages together! If you have any questions about homeschooling (or Sonlight) let me know! Leave your questions in the comments. 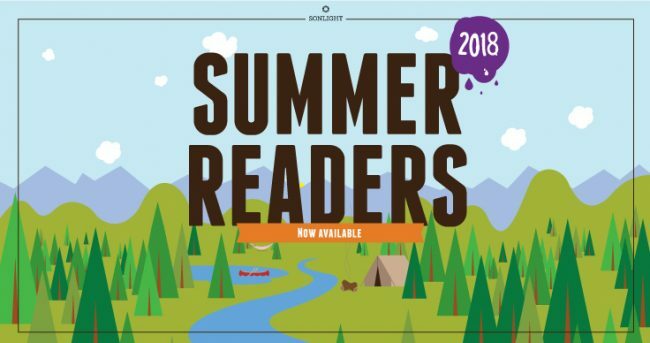 More than just Summer Readers! Looking for even more fun things to do this summer? Check out Sonlight’s Exploration Packages in Art, Science, Music, Programming and more! Thank you Tricia! Love it! We have the same set up of homeschooling in our dining room. I’m looking forward to your organizing video for sure! I’ll work on that one next! So glad I finally got to sit down and view this video! Thanks for posting it. 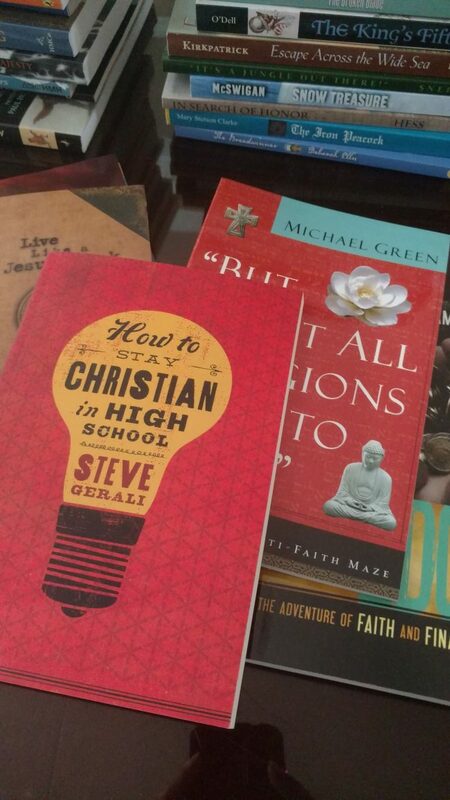 I am ready to take the plunge to homeschool my last two adopted children, so I will be homeschooling five total. I found this video to be helpful in this area, thanks! I heard that your kids have writing assignments connected to their Sonlight curriculum. Do you do anything additional for writing for high school? 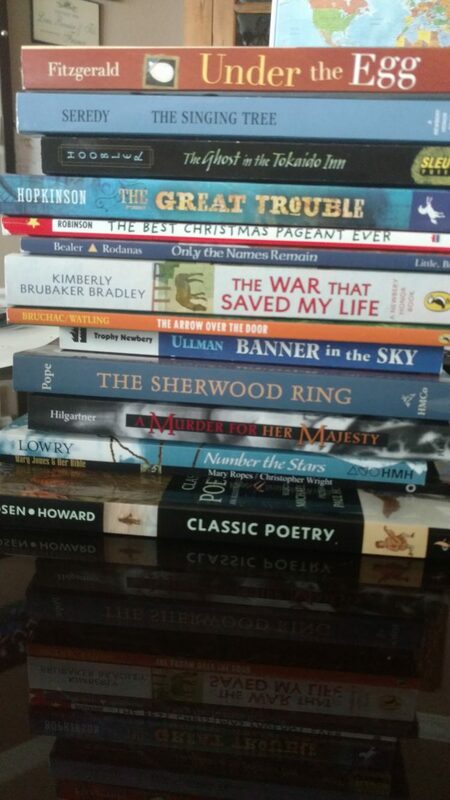 I have a few writing texts I am considering by Sharon Watson: Illuminating Literature-When Worlds Collide and Characters in Crisis, and Writing Fiction and Non-fiction. Are you familiar with any of these? 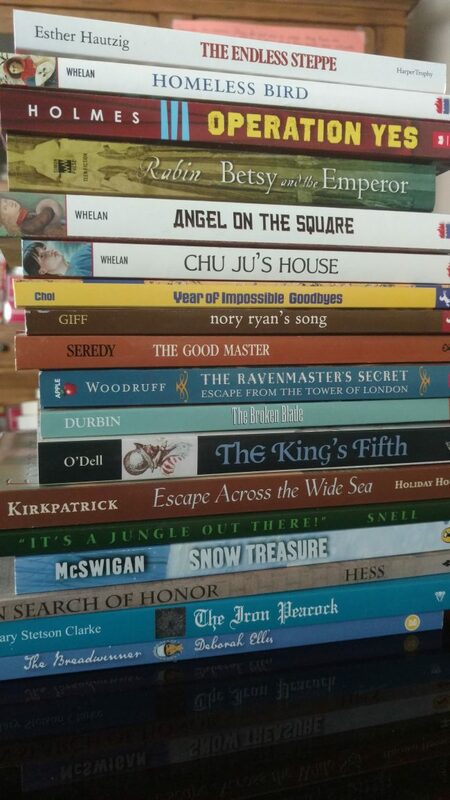 That is our favorite combination of Sonlight cores – such GREAT books!!! Hi! This was SO helpful! 1. Can you please tell me about your journey to choosing Sonlight? I am just considering homeschooling and there are so many options out there but this one seems most me, the most “us” and gave me the most “flutter of excitement” when browsing through their website. Do I just trust my gut, even when others I know are choosing other things? 2. Do you ever worry that the books you read aloud to the older children may have content too sensitive/scary for the younger ones? How have you handled that? 3. Do you always do the read-aloud and the self-readers in the dining room while your children are sitting in chairs or do you and your children read elsewhere too? I would LOVE more videos on homeschooling, your dining room school space, how you do your day etc. Thank you so much for taking your precious time to share with all of us! hi! do you have your organizing for multiple ages video up yet? Thank you!